You know you’re in the right place when the President decides to show up. Politics aside, even President Obama understands SXSW attendees are in the process of rebuilding and reshaping America. This year at SXSW Interactive, The Bond Group had Anna (designer + social media extraordinaire) on the ground to cover the hot topics of the conference. We hope these takeaways will help our clients stay ahead of the curve in today’s fast-paced digital space. 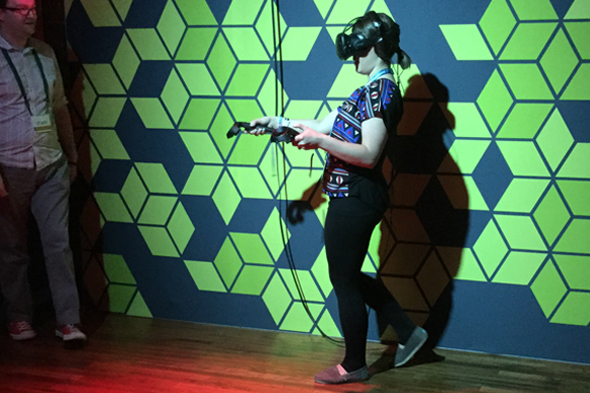 The most popular theme at SXSW this year (by far) was undoubtedly virtual reality. From Mashable to Gillette, brands across the board promoted and embraced the rapidly growing technology and provided festival goers with never-before-seen experiences. The most talked-about (and Anna’s personal favorite) activation was the McDonald’s tour of the inside of a Happy Meal. The experience included wearing a pair of HTC Vine glasses, dual controllers and headphones. Attendees were encouraged to customize the inside of the box using virtual paint brushes, lasers, and colorful balloons. The activation was created by Groove Jones using Epic’s Unreal Engine. Two key buzzwords circling around SXSW this year were “dark social.” With nearly 257 billion text messages being sent every day, messaging apps are becoming a dominate way to interact. Whether it’s text messages, IMs, private messaging apps or email, everyone is guilty of sharing articles one-on-one with friends and family—and away from the public eyes of platforms like Facebook, Twitter and Instagram. This act is referred to as dark social sharing. Thanks to the universality of the act, dark social has been reported to be responsible for up to 60% of overall referral traffic for various websites. So why should we care? We should care because “dark social” is, and will continue to be, a key factor in social sharing. With little to no way to track dark social, it’s important for brands to be aware of the terminology and to try to focus on ways to tap into these conversations. Key takeaway: If you are able to find a way to unobtrusively tap into your brands dark social conversations, you’ll be ahead of the curve. By 2020, 70% of the world’s population will own a smartphone. It’s time to stop differentiating mobile and web, and realize the internet is the center of commerce regardless of which device it’s used on. With the continued rapid growth rate of mobile, it’s important that brands evolve and learn how to embrace, “mobile moments that matter.” This means, finding the right moments and the right people at the right time. Taking a mobile first approach to content strategy and information architecture will help your brand define it’s messaging down to the most important call-to-actions and content. While mobile first isn’t a new idea, it’s time to take it seriously in order to give relevant and significant value to your consumers. Key takeaway: Utilizing features such as mobile push notifications and geo-targeting will allow your brand to reach the right consumers at the right time. If we understand more about the mobile moments that matter most, we can deliver mobile experiences that matter more. 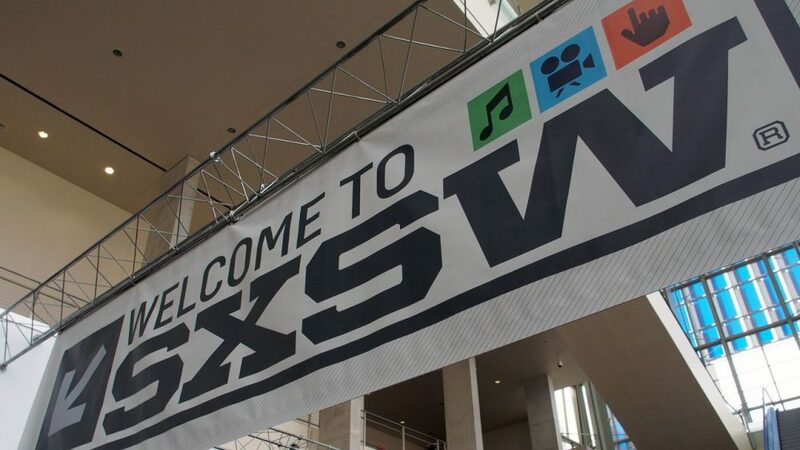 It’s no surprise that cybersecurity and digital privacy were hot topics at SXSW this year. From search engines to social media, consumers are becoming more aware that their web behavior is being logged and analyzed. The feelings surrounding the topic this year were both good and bad. While on one hand, data collection for brands can be seen as empowering and helpful, on the other hand, data collection for consumers can be seen as invasive and disempowering. It’s up to brands and key stakeholders to take precautions when collecting and using data—and using it responsibly. Key takeaway: With the continued security and privacy conversations comes new opportunity for accelerated development of new privacy tools such as facial recognition, the selfie as access authorization, biometrics and retina scanning. There were a handful of especially passionate and motivating keynote speakers among all of the tech and innovation discussions at SXSW this year. 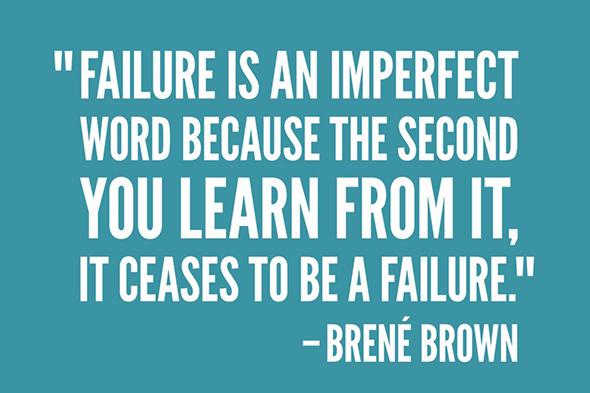 While Brené Brown, bestselling author of Daring Greatly and Rising Strong, may not seem like an obvious SXSW keynote speaker choice, her talk was, hands down, a highlight for many festival goers. Like her work, Brown’s presentation focused on the power of vulnerability, courage, shame and worthiness. She stated, “you’re going to put your work out there and it’s going to get stomped on. If you have no tolerance for failure, you will create nothing new.” One of her defining ideas is that innovation and creativity are inspired by failure, bravery and courage. One must be brave enough to show up and be seen in order to produce and create great work. Key takeaway: There is no innovation and creativity without failure. Period. If you want to be successful, you have to show up, work hard, dare greatly, and above all, never be afraid to fail. All in all, #SXSW16 did not disappoint! From new technologies to conversations surrounding vulnerability, change and daring greatly, there was no shortage of inspiration for the conventions 30th year anniversary. Questions about Anna’s #SXSW16 experience? Share in the comments below!